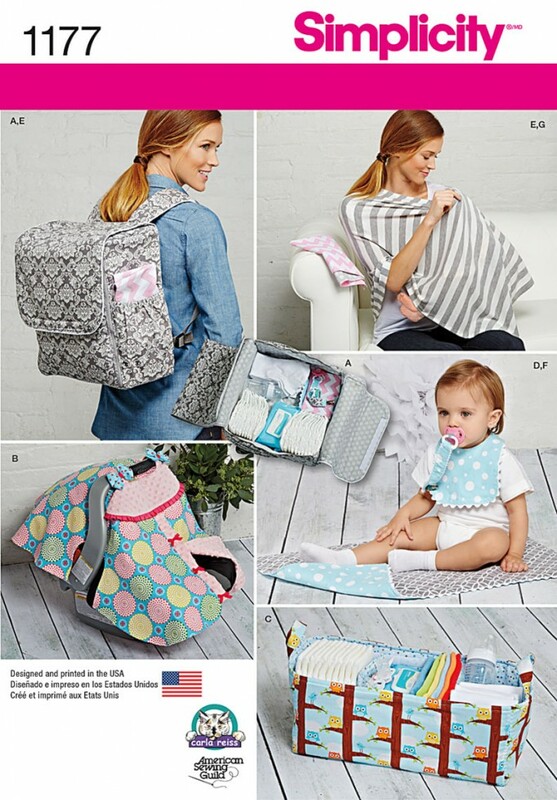 This great accessory pattern for babies includes a diaper backpack, carrier tent, organizer, play mat, burp cloth, bib, pacifier tether and knit nursing shawl. Shawl in one size fits most. Simplicity sewing pattern.